The Utility Series is our most popular locking tablet holder. The shape of the Utility Series holder is designed to allow easy tablet installation and removal. The Utility Series holder is fully adjustable, allowing it to hold a variety of tablets with, or without, protective cases. This kit comes with the holder and the Wall Mount. The Utility Classic is our standard open-frame, locking, holder designed for 9" to 10" tablets, incuding all iPad and iPad Air models. The open U-shape is designed to allow quick and easy tablet installation and removal for when you need to be mobile. Slide the steel locking-bar over the installed tablet and in to the locking mechanism when you need your tablet secured. Simply insert the key and remove the locking-bar to remove the tablet from the holder. 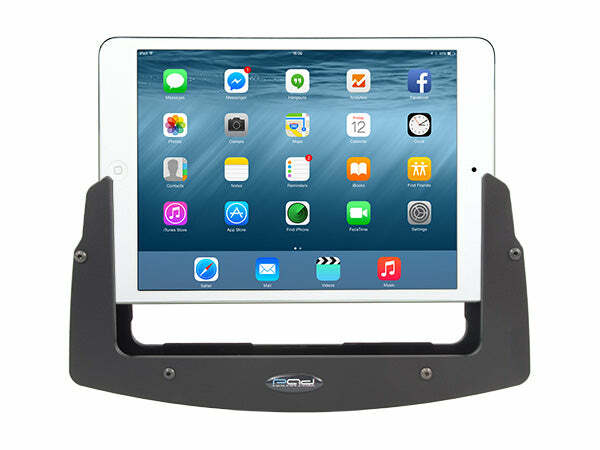 The holder is fully adjustable, allowing it to hold a variety of tablets with, or without, protective cases. The tamper-proof assembly hardware adds extra security. This kit comes with the holder and the Wall Mount. This holder comes with a stainless steel locking bar that allows you to quickly and easily lock your iPad or tablet in the holder To remove your tablet simply insert the key, turn, and slide the locking bar out of the locking mechanism. 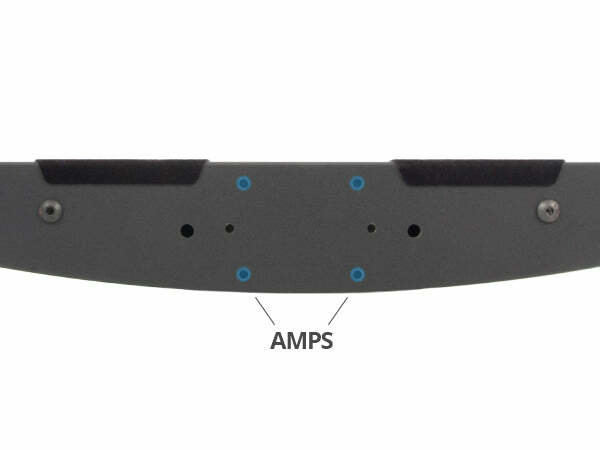 This holder utilizes the Automated Mounting and Positioning System (AMPS) universal mounting pattern. A four hole, rectangular, pattern that measures at 1.188" by 1.813" or 30mm by 38mm. Each hole is tapped with 8-32 threads and bolts are included with packaging. The Padholdr Wall mounts allow you to mount any of our U shaped holders including the Edge, Social, Utility, Utility XL, and Aluminum Utility holders securely to a wall in just a few steps. The design of the wall mount allows the holder to be placed about a half inch from the wall, allowing you to easily take your tablet in and out of the holder. 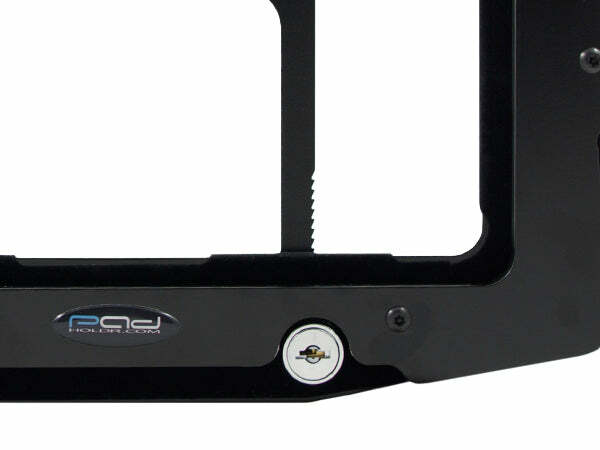 The Padholdr Wall Mount has a custom design that allows any of our U shaped holders to bolt directly to the mount. The U shaped holders include the Edge, Social, Utility, Utility XL, and the Aluminum Utility. There is a custom notched part of the wall mount allowing the lock stick to still be used in the holder as well. All of our holders come with open sides to allow access to charging ports or buttons on the tablet.